South Sudan was formed when the southern-most states of Sudan seceded, being Bahr el Ghazal, Equatoria and Upper Nile as well as the Abyei Area. The secession was as an outcome of a peace deal. South Sudan is bordered by Sudan in the north, Central African Republic in the west, the DRC in the southwest, Uganda and Kenya in the south, and Ethiopia in the east. 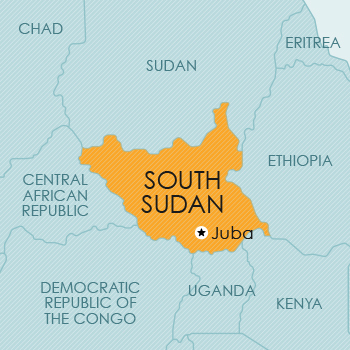 South Sudan gained its independence in 2011. According to the Transitional Constitution, it would appear that intellectual property rights in South Sudan are regulated in terms of the abovementioned Sudanese Laws. In practice, South Sudanese authorities have not yet considered protection in terms of the Sudanese Patent and Designs Act, but to some extent are allowing the filing of trade mark applications. However, in contrast to the requirements of the 1969 Sudan Trade Marks Act, the authorities are following a deposit system: provided a notarised power of attorney together with a certified copy of the applicant company’s certificate of incorporation are submitted, the application will be processed. Although official fees are being requested, the amounts appear to differ and are not strictly regulated. It would appear that the Ministry of Justice is considering whether to formally adopt the workings of the 1969 Trade Marks Act until such time as a new law is promulgated. Sudanese registrations do not extend to South Sudan and cover only the territory of ‘North’ Sudan.